Jay Sekulow Periscope User Stats This is Jay Sekulows periscope stats website page. This is Jay Sekulows periscope stats website page. Jay Sekulow created profile on 2015-04-13 Time 13:45:30 and last update profile time is . 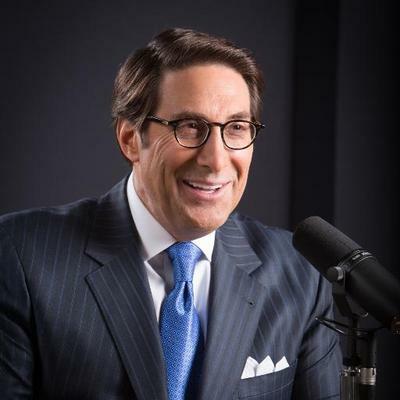 Jay Sekulow total followers is 37002 and Jay Sekulow total following is 46 . Jay Sekulow twitter nickname is JaySekulow. Radio: Will #SCOTUS Allow Citizenship Question on #Census? Radio: #Easter Massacre of Christians in #SriLanka. Radio: Rep. Omar Trivializes the 9/11 Attack. Radio: AG: “I Think Spying Did Occur” on #Trump Campaign. Radio: BREAKING: #POTUS Designates Iran’s Revolutionary Guard as Terrorist Organization. Radio: #POTUS Defends Border While Congress Does Nothing. #DHS Secretary: “System-wide Meltdown” at #Border. Radio: The Left’s #SCOTUS Litmus Test. Radio: TODAY: #Senate Votes on Nat’l Emergency. Radio: Leftists Devise Court Packing Scheme...If They Win. Radio: Big Win For #Life in #NewYork. Radio: More Anti-Semitism from Representative Omar. Radio: Is #Venezuela the #Syria of the West? Radio: #POTUS Lands in Vietnam for North Korea Summit. Radio: LIVE: Open Phones Friday (800) 684-3110. Radio: Five Lawsuits Filed Against #NationalEmergency Declaration. Radio: Nation of Islam and #US Congress. Radio: First lawsuit filed against #NationalEmergency. Radio: BREAKING: #Democrats Call for End to Air Travel & Steak Dinners. Radio: Will Speaker #Pelosi Support a Bipartisan Deal? Radio: #SOTU: America Will Never Be a Socialist Nation. Radio: Terrorists in Suits: #BDS Movement’s Ties to Terrorism. Radio: Proposed VA Bill to Allow #Abortion During Delivery. Radio: More States Introduce Extreme #Abortion Bills. Radio: New York Passes Most Barbaric #Abortion Law in History. Radio: Is It Time for POTUS to Declare a #NationalEmergency? Radio: Senior #Democrats Acknowledge Need to Fund #Border Security. Radio: BREAKING: Former #FBI Top Lawyer Signed Off on FISA Warrant. Radio: #SpecialCounsel Refutes #BuzzFeed Report. Radio: #FBI Irregularities Brought Up in #Senate Hearing. Radio: BREAKING: #FBI Irregularities Revealed. Radio: Pompeo: #US is Confronting Radical Islam. Radio: Will #POTUS Declare a National Emergency to Build Southern Border Protection? Radio: 5th Day of Government Shutdown. Radio: Will #Senate GOP Use #Constitutional Option to Avoid #Shutdown? Radio: #Congress Passes #Bipartisan Bill Sanctioning #Hamas Terrorists. Radio: U.N. Fails to Condemn Hamas. ACLJ Responds. Radio: Judge Strikes Down #ObamaCare & Looming Govt Shutdown. A showdown on border funding in #Washington. Radio: Public Schools Force #Buddhist #Meditation Practice. Radio: #Israel Attacks #Hezbollah Terror Tunnels. Radio: #Iran Tests Advanced Ballistic Missile. Radio: #POTUS Willing to Shut Down Government Over Border Security. Radio: A Crisis at the#Border. Radio: In Depth #MiddleEast Analysis. Radio: UPDATE: Recount Continues in #Florida. Radio: High Drama In Florida Election. Radio: Decision Day in America. Radio: Four Days Until Midterm #Elections. Radio: Updates From #Mexico and the #UnitedStates. LIVE Radio: Call #JayLive at 1-800-684-3110. Radio: The Current State of #US Foreign Policy. Radio: Breaking: #US Treasury Secretary withdraws from #SaudiSummit. Radio: SPECIAL GUEST: Former @QVC Host Dan Wheeler. Radio: #PastorBrunson Takes Your Calls Live. Radio: BREAKING: #PastorAndrew Brunson Freed. Radio: What’s Next for #UN / #HurricaneMichael Updates.